We will be broadcasting live this Saturday 1 til 3! The grand opening of Pinnacle Gun and Ammo’s new location is this weekend! In the Marquette building, at Main and Perry in downtown Peoria with ample parking! Come celebrate and shop guns, safes, ammo, holsters, hunting accessories and more. The home of the 10-dollar transfer, pinnacle gun and ammo, from the same people behind pinnacle security services. Providing expertise, to your outdoor lifestyle, and your personal safety. 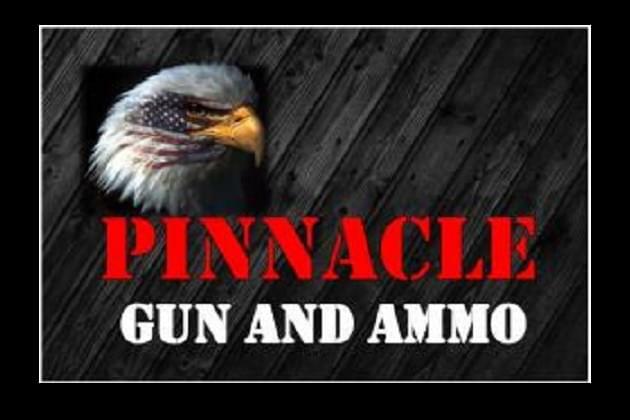 The new Pinnacle Gun and Ammo grand opening this Saturday!